Sales were down and production sat flat at Rainbow Rare Earths’ Gakara project in Burundi during its Q2 period, ended in December. Sales were down and production sat flat at LSE-listed Rainbow Rare Earths’ (LSE:RBW) Gakara project in Burundi during its Q2 period, which ended December 31, 2018. The east Africa-focused critical metals miner reported a Q2 sales total of 300 tonnes, a 50-tonne decrease from the previous quarter. Total rare earth oxide grade also decreased from 59 percent in Q1, to 56 percent. The company also reported a US$263 drop in its per tonne gross sales price, which was US$2,147 in Q1 and US$1,884 in the quarter that just concluded. Despite the sales and grading decline, Rainbow remains optimistic that 2019 will play out well due to the knowledge gained in 2018 and a plan to expand production at Gakara. “Production in the quarter was broadly flat compared to the prior period, however we have now put in place a plan to rapidly increase our scale of mining operations by opening two further areas before the end of 2019 which is expected to transform our overall production profile and financial performance to take us to break even and beyond,” CEO Martin Eales said in the company announcement. Rainbow began production at the Burundi site in Q4 2017. The company then quickly entered a decade-long distribution and offtake agreement with multinational corporation ThyssenKrupp Materials Trading (XETRA:TKA) for the sale of at least 5,000 tonnes per anum of concentrate produced. Gakara produces magnet rare earths, which include neodymium and praseodymium, and are in great demand from the automotive and green energy sector. The company believes the expansion will increase production and bolster the company’s position in the rare earth market. “We have learned a huge amount about our mining operation from the first full year of production and, given the natural fluctuations within the veins in each mining area, it makes sense to further de-risk our project and improve production consistency by adding additional mining faces,” Eales added. Funding for the development will likely come, in part, from a newly penned US$7.75-million funding agreement between Rainbow and a company managed by Lind Partners, announced earlier this week. The multi-million dollar infusion is flexible and will be spread between the Gakara site expansion and the company’s other east-African projects, Gasagwe and Murambi. “Lind believes Rainbow is at a critical inflection point and offers a unique investment opportunity: it’s in production, has a long-term sales contract and plans to expand production in the near term,” Lind Partners Managing Director Phillip Valliere said in the January 28th press release. For the year ahead, Rainbow plans to focus on the opening of multiple mining areas to offset production fluctuations like the ones seen in 2018. Company shares dropped 15.39 percent on Thursday (January 31), trading at GBP3.70. 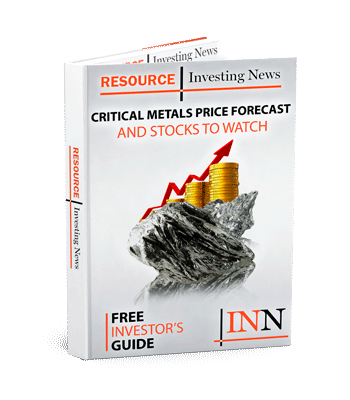 Get the latest information about companies associated with Rare Earth Investing Delivered directly to your inbox.